Commercial flooring requires just as much attention as choosing a floor for your own home, in fact there are often unique considerations for businesses or office spaces, that require special consideration. What impression do you want to give your customers or clients? Lawyer’s offices or high end retail businesses may want customers to feel a sense of luxury as they enter. If this is the case, engineered hardwood may be the best option. We suggest engineered hardwood over solid hardwood in an office environment, as it is more durable (see our blog on the differences between solid and engineered hardwood). 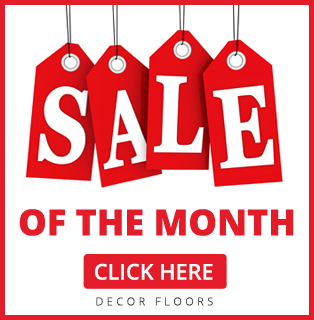 Or, if you want to wow your customers with a completely unconventional look, laminates, vinyls, and ceramic tiles come in a huge assortment of colours and patterns to give you free rein in design creativity! Is office noise level an issue? If the answer is yes, carpet would be an excellent choice. This natural noise (and temperature) insulator will reduce the sound of footsteps and voices or clanking dish ware that can echo all through a work environment that is bustling with action. Learn more about some of the other benefits of carpeting. 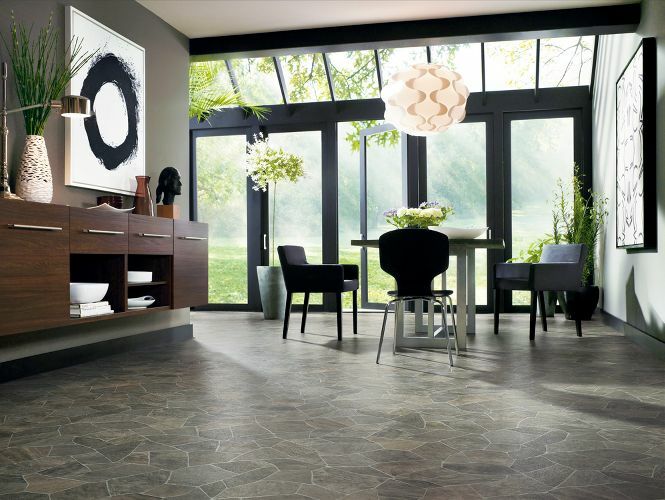 What is your flooring budget? This is often the deciding factor, but smaller budgets don’t mean that you need to sacrifice the image you want for your business space to project. Engineered hardwood is likely the most expensive choice in flooring, but if you want the same beauty and elegance that hardwood floors are known for, laminates and vinyl both come in plank formats and colours that mimic the look of real wood but for less money (learn more about laminates and vinyls). Another benefit of vinysl and laminates are that they are easier to maintain than hardwood which means coffee spills are easy to wipe up and won’t cause damage! Nowadays they make flooring for pretty much any environment! Perhaps you own a business or clinic where you need to control the risk of spreading infections, or your business requires a floor that needs to reduce the chance of anyone slipping and falling, whatever the situation you can be sure there is a floor out there that is suited to fit your needs. Give us a call if you need some help choosing flooring or if you have ANY questions. The experts at Decor Floor are prepared for anything and everything!